It's hardly a revelation that a new Call of Duty is on its way, but it looks like a couple of retailers - Tesco and Target - have inadvertently leaked information on what it will be called, and what the box art will look like. According to Charlie Intel, who spoke to sources, the game will be announced "any day now". 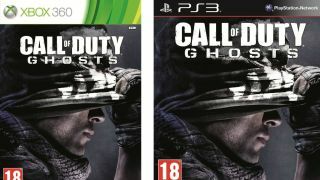 The title and artwork suggest that the game will be based around the Call of Duty character known as – yup – Ghost, with the skull balaclava known to be his signature accessory. Now fulfill your duty by checking out some more blips.